The Evergreen State College President Les Purce and travel writer Rick Steves. Now that’s what I consider a valuable souvenir. 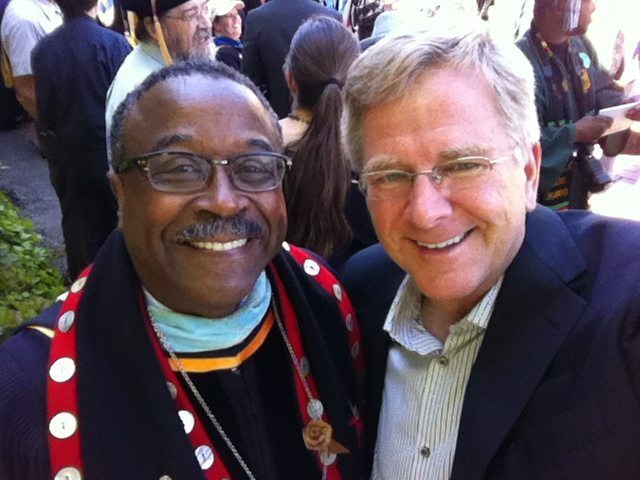 The full text of Rick Steves’ commencement address is available on his blog.